Home eXtreme botany OMG! there’s an #iamabotanist in my computer! Correction, shed-loads of ’em! OMG! 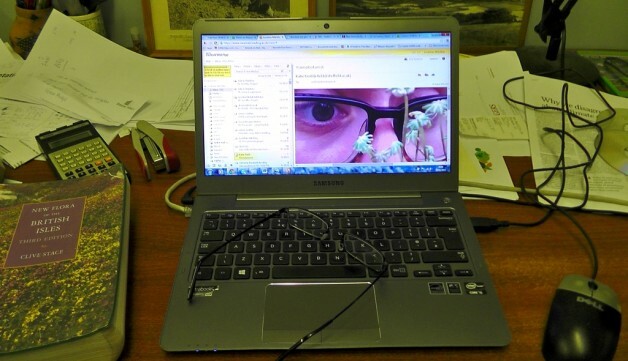 there’s an #iamabotanist in my computer! Correction, shed-loads of ’em! Dr M has been enjoying a recent burst of virtual botanical activity on Twitter stimulated by Dr Chris Martine launching the hashtag #iamabotanist which has seen a great response from botanists and non-botanists and spouses and so on all proudly posting pictures and telling the Twitter world who and where they are and what they are up to (botanically speaking!). There has been a tiny wee bit of controversy along the way, there are those who don’t like this “pigeon-holing” and some who quite like the alternative titles of plant science, plant biology and so on. But Dr M says: It’s all good, it’s a free botanical world and it’s a diverse botanical world and all plant publicity is good publicity! In any event, it’s just another welcome way of celebrating all that is good and fine about plants and those who study them! Dr M has most enjoyed meeting a host of new botanists and seeing their imaginative responses to the call to declare #iamabotanist and #reclaimthename (botany!). Dr M plans to post a few of his personal favourite #iamabotanist pictures here on drmgoeswild.com soon and welcomes contributions of your favourites too! Contact Dr M with your favourites! Dr M will make his selection before too long so check the #iamabotanist feed and get Tweeting new #iamabotanist pics, there’s room for plenty more inside!